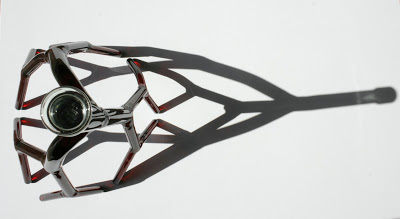 Etienne Meneau´s artwork reflects the gateway between art, nature and human. 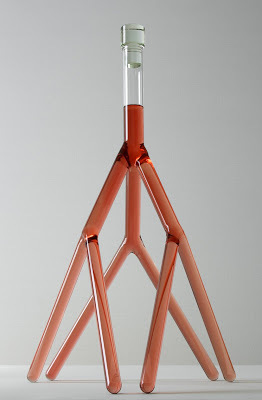 The indulgance of his StrangeCarafes lies exactly where other decanters end up: Art. But art is not necessarily aesthetical. It has not only to fulfill a certain purpose. But it adds another dimension. In this case: Enrichment of an ordinary meaning. 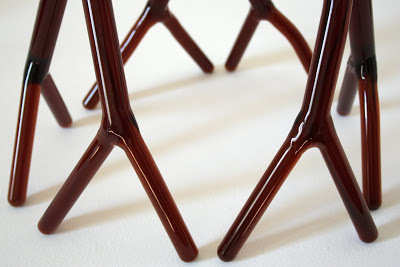 In the end, Etienne creates both, a functional device, which exceeds due to it´s meaning the own functionality and pushes the boundary of the dimension of a regular “product design”. Hi Etienne, artistic work and wine is a good match? 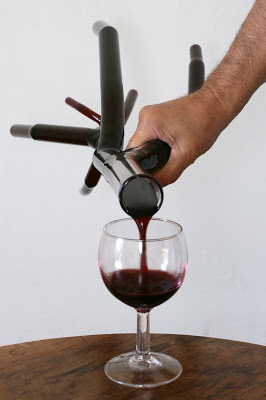 For me wine is a material like any other material. I have selected it to complete my sculptures first for the colour, second for the history behind. 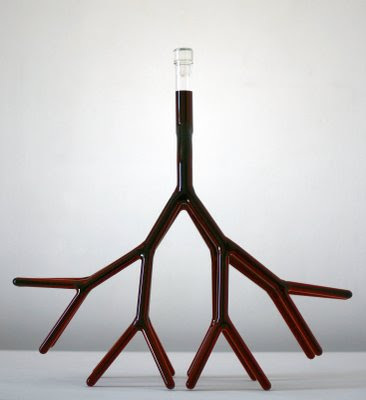 Your strange carafes creates are hand-blown wine decanters that look like tree roots and circulatory systems. What is the intention behind? 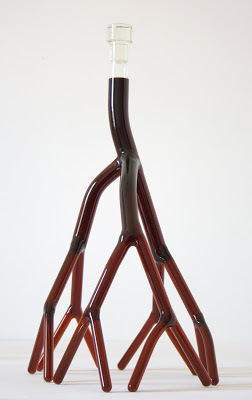 What is the feedback of the strange carafes? 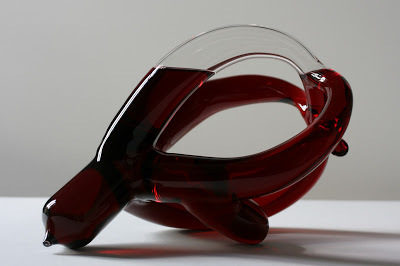 People see more an artistic work behind it, rather than a carafe decanter? 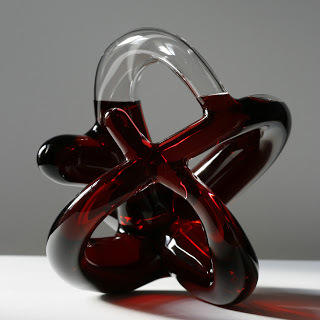 People who buy a StrangeCarafes loves both wine and sculpture. 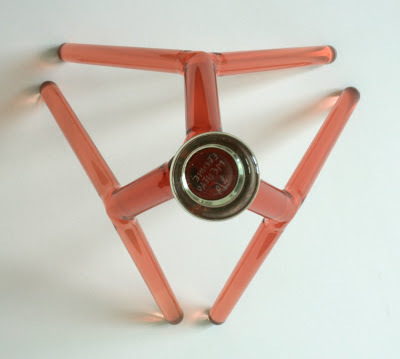 I have met StrangeCarafes on a japanese cosplay site. 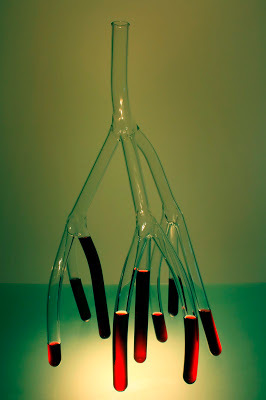 Perhaps they will never drink wine, I think that they have seen all together, sculpture, wine, drink, blood, fill, breakage , vampire etc…. It seems your artistic work follows most of the time an organic approach. Or better said the role of human being in nature. What is your general message? No general message! For this time…in fact I am in a very paradoxal position, I don’t like objects and their proliferation, (even artistic objects) I admire people who live(d) with very few objects like amazonian indians. So, I will try to have no projects. 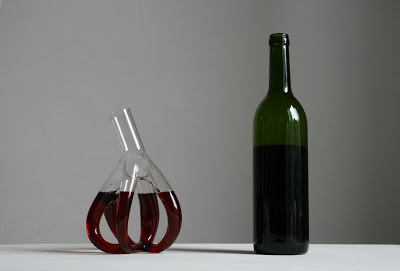 Yourself, which wine you would fill into your carafes to be served or to be preserved? Chateau Haut Bazigan, Bordeaux supérieur, a very strange wine.